Unique pendantsThere are 15 products. Unique, hand-made Horoscope pendant for women with a Zodiac sign of Sagittarius. Unique handmade pendant with in yellow with a blossom and a small diamond. 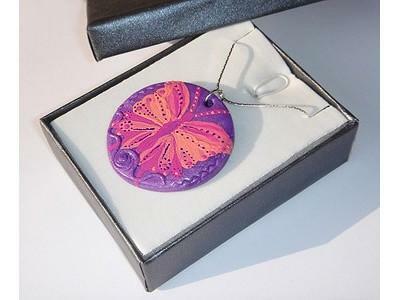 The pendant is made from Cernit and Fimo Clay and from materials that are nickle-free.